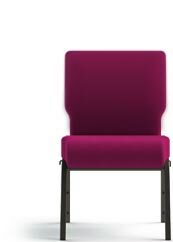 We want you to be happy with your purchase from ChurchChairs4Less.com. If you're not happy, we want to know about it. Contact us to resolve any issues you may be having. Call us at 1-855-307-3862 to obtain a Return Authorization (RA) number. In addition to issuing an RA number, our representative will give you the address to send your item for returns processing and answer any questions you may have. Your Return Authorization number must be enclosed within the box and written on the outside of the return shipment.